Kailyn Lowry believes Kylie’s pregnancy may be a bit tricky as far as her social life is concerned. We have learned that the Teen Mom star feels for the makeup mogul because she is also about to become a young mother. Despite the fact that Jenner is yet to officially confirm she is expecting a baby girl with her boyfriend Travis Scott, the fellow reality TV star has still decided to give her honest opinion on the pregnancy in a brand new interview. Lowry talked about how such an early parenthood might change the makeup mogul’s life. 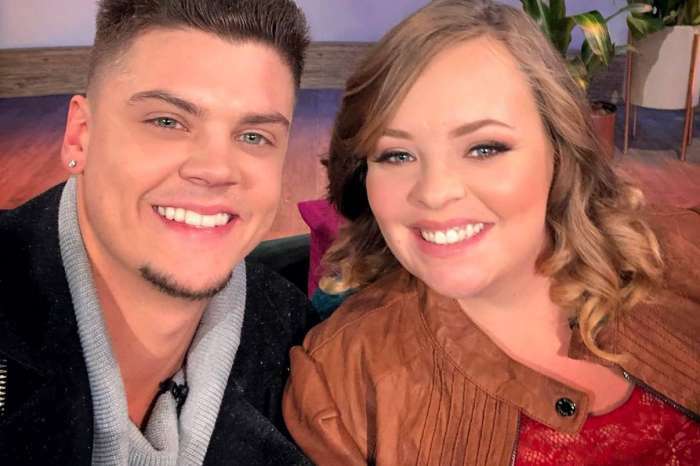 Kailyn, who became famous on the show 16 and Pregnant and is now the mother of three boys revealed that being a mom might change teh degree of Kylie’s social involvement. When asked about whether or not she thinks there is any similarity between her and Kylie’s situation, the Teen Mom star seemed to think no at first considering she was still in high school when she had her first child. However, she soon realized that they are not that different considering Kylie is still pretty young at 20 and not many girls in her age group become moms so early. Teen Mom fans definitely know how much Lowry has been struggling with being a parent and finishing her education. It took Lowry no less than six years to get her Bachelor’s Degree because she had to raise her kids as well. Kailyn went on, detailing how having children changes any woman’s social life, and Jenner should really take some notes! ‘Your social life definitely changes because you cannot always go out when your friends want to go out because you are pregnant or you have a newborn. I think it will be different for [Kylie] because I am sure she will have a lot of help and she will have nannies and stuff. When your friends cannot really relate, they kind of stop coming around,’ Lowry stated, suggesting Kylie might have it easier because of her wealth.